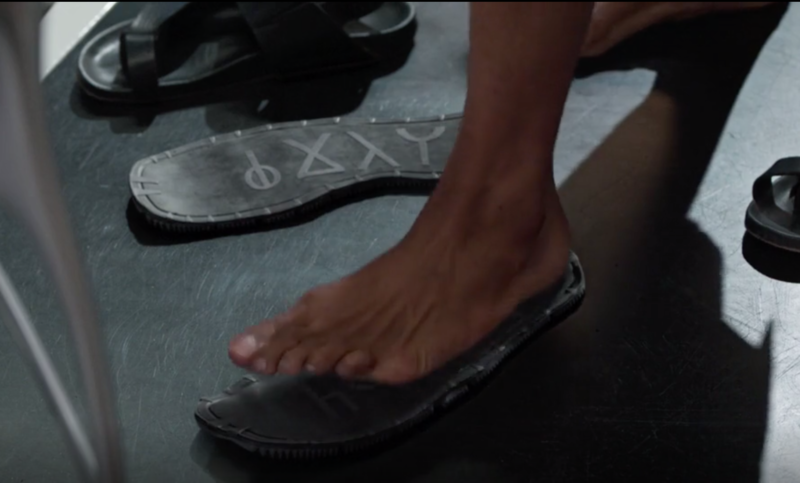 Following up on the question asked here, what does the inscription inside the shoes mean? 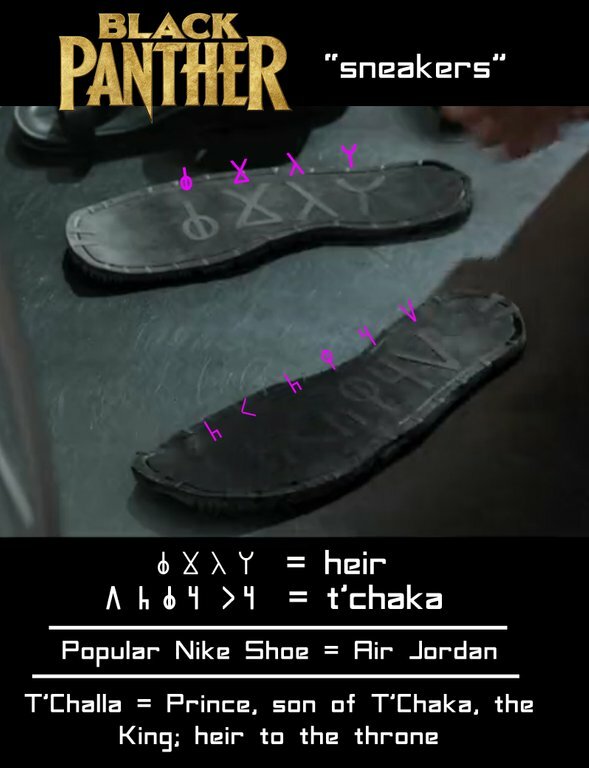 In that language the shoes say heir (in lowercase). Very cool touch imo. It perfectly describes King T'Challa. Really well done. Not the answer you're looking for? Browse other questions tagged marvel marvel-cinematic-universe translation black-panther-2018 or ask your own question. Does Bucky Barnes die and then resurrect? What was Vision doing in this scene? Does the MCU version of Mjolnir carry the “Whosoever holds this hammer…” inscription?